For many students, spring break is a time to wind down and have fun — but for 34 Prairie Upper School students, it was also a chance to travel abroad, forge amazing new relationships, and leave the comforts of home and daily life. This year, junior and senior students immersed themselves in new cultures, surroundings and experiences. A group of 13 juniors and seniors ventured to Costa Rica with Senora Lane, Upper School Spanish Teacher, and Ms. Davis, Upper School English Teacher. 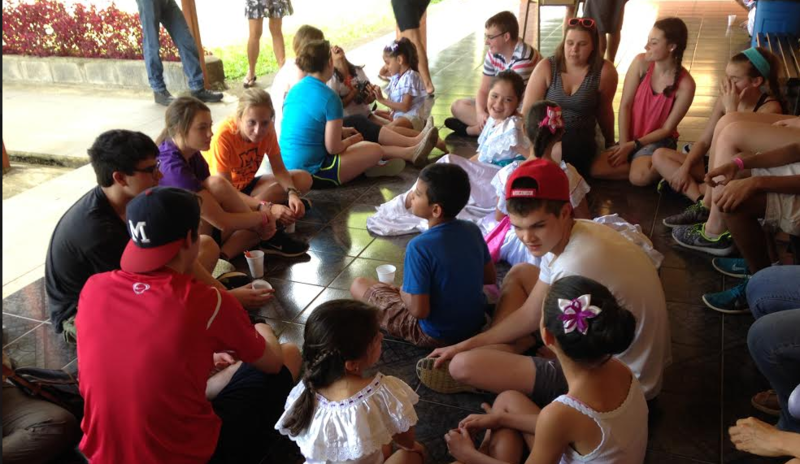 Arriving first in Costa Rica’s capital, San José Spanish students traveled to Arenal, Manuel Antonio, and arrived at Tabarcia a small town where their host families lived. Their overseas adventures allowed them to experience the Costa Rican culture by trying new foods, integrating in the daily lives of their host families, and of course speaking Spanish! Students even enjoyed a pickup game of futbol with local kids who cherish the beloved national pastime. “The kids had such an eye-opening experience. They were so proud to use their Spanish to converse with people and ask questions. They also learned so much with their host families. 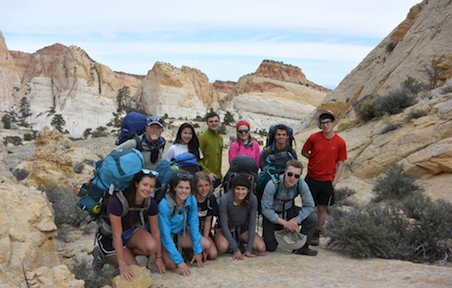 From sleeping under the stars to traversing cliffs, canyons, and domes, a group of 10 junior and senior students tested their limits at Capitol Reef National Park in Torrey, Utah. Mr. Rinke, Art Department Chair, and Mrs. Uebe College, Counseling Admin Assistant, led this year’s group through a five day camping experience where students separated themselves from the world of texting, internet and social media. 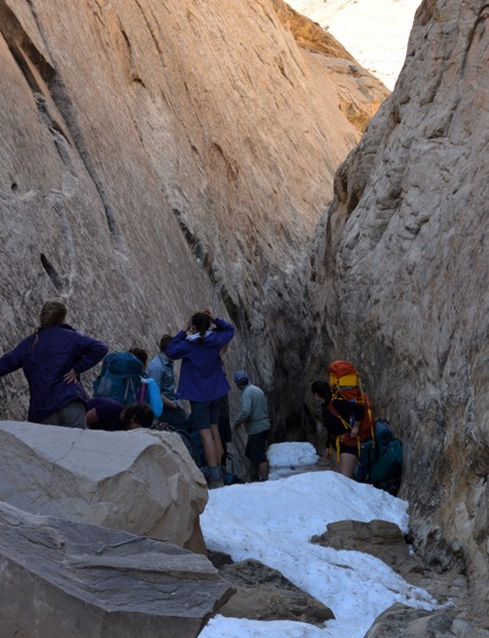 Disconnecting themselves from the comforts of their homes, students worked together to overcome difficult terrains and build relationships with their peers. “The students shared a priceless experience rich with challenge and accomplishment,” shares Mrs. Uebe. It’s not often that a group of 11 juniors and seniors are given the opportunity to visit over 20 historical attractions and sites in London, England. 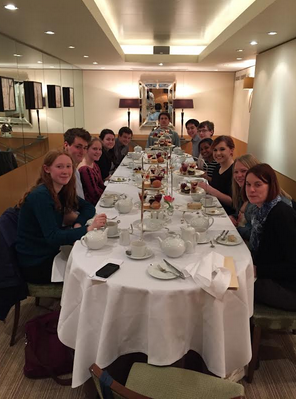 With Ms. Greasby, Prairie’s Theatre Director, serving as their tour guide, students walked through the streets of London visiting places such as Westminster Abbey, Buckingham Palace, Hampton Court Palace and the London Eye to name only a few. London also offers some of the world’s best theatre and students attended over six shows including, “Shakespeare In Love,” “Peddling,” and “War Horse”. “The most exciting thing for me about the trip was watching each of the students discover something new about themselves. This trip changes how students look at history, culture, and theatre. I’ve taken this trip four times now with students and I enjoy rediscovering the city through their eyes each time we go,” shares Ms. Greasby.